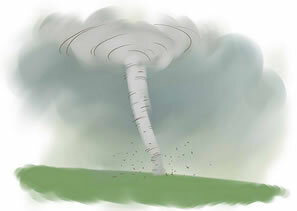 Tornado season usually happens during the springtime, but those of you who live in tornado alley can attest to the fact that a tornado can occur any time any place. It is important that you and your family have a plan that includes a designated safe spot in your house if a tornado were to occur. There are several things to keep in mind as you designate a safe place to go. 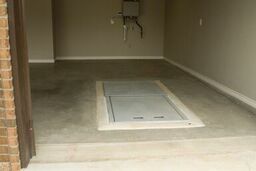 Basement - If you don't have a storm shelter, there are certain places in your home that are safer than others. The basement is the next best thing to a tornado shelter. If there are windows in your basement make sure to stay away from them. 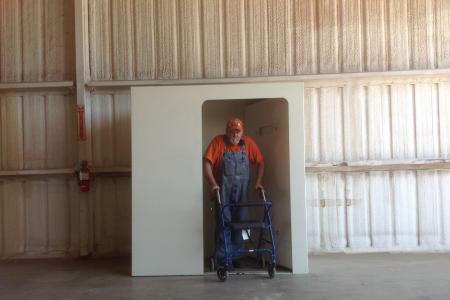 Interior Room - If you do not have a basement or a storm shelter, you should go to an interior room that is on the lowest level of the home - a closet or bathroom is best. You can also go to an interior hallway in a building on the lowest level. You should stay away from windows, exterior walls and doorways. Stay out of large rooms such as auditoriums, the middle of a grocery store or large hallways. The smaller the room or hallway is the better. If there is a heavy piece of furniture in the room, take cover under it. Protect your head and body with pillows, blankets or mattresses. If you have small children or pets with you, make sure they are well protected as well. Keep a flashlight and a cell phone with you, preferably in your pocket. 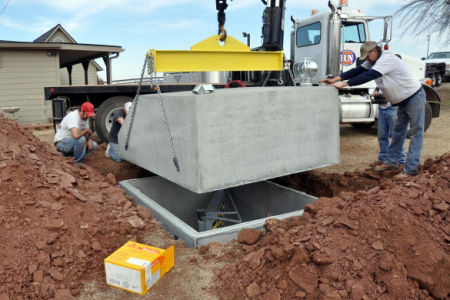 That way if you are trapped you can call someone for help and you will have a flashlight which will help you be found. A battery-powered radio or television is also good to keep in your safe place to stay well-informed. Remember to never try to outrun a tornado. Do not stand by a window or out on the porch and try to record it or take pictures. Get to your storm shelter or safe place immediately if you are under a tornado warning. If you follow these tips, you will maximize your chances of being safe during a tornado!